It seems I am always cooking something, and some of my mixing bowls are getting rather worn. 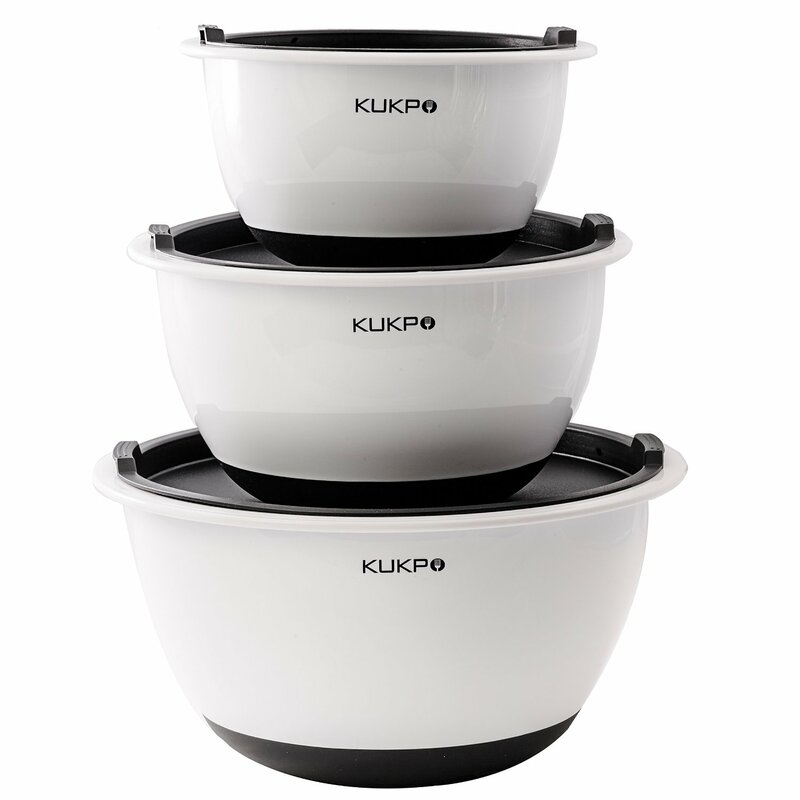 I decided to pick up a new set and settled on these KUKPO High Quality Plastic Mixing Bowls. 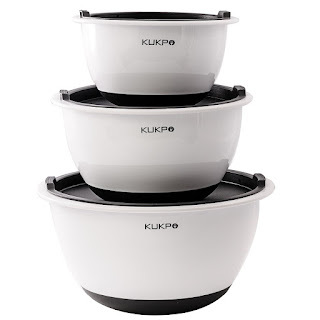 The set comes with 3 mixing bowls with lids. The largest has a 5 quart capacity, the middle one is 3 quarts, and the smallest is 1.5 quarts. The graduated sizes nest nicely to take up less storage space than some of my older bowls. I really like the non skid bottoms of these bowls because they stay firmly in place and don't slide around while mixing. Although they are refrigerator, freezer and dishwasher safe, I haven't tried them in any of those settings yet. So far I have only used them for mixing but they have been performing nicely for mixing and combining ingredients. The lids fit snugly on top of the bowls, making them easy to stack. This is an attractive looking set, and looks nice when serving up some of the new recipes I have tried lately. I haven't had them for long, but am curious how well the smooth shiny surface will remain shiny with repeated use, especially if using an electric mixer in them. I have had that issue with some bowls in the past. I guess only time will tell, but for now, I am very happy with my new set of mixing bowls.